Today, the winemaker François Chidaine is a leading name in Montlouis, having ushered in a new generation of talented wine-makers. 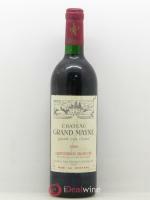 In 1984, he began to work as an employee at his family's winemaking estate in Montlouis. 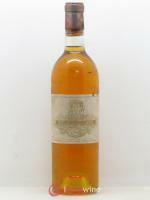 In 1989, he set up on his own with 3 hectares of the family estate and 1.5 hectares that he purchased himself. He quickly adopted organic farming practices and began converting his entire domain to this approach in 1992, while continuing to expand (10 hectares in Montlouis in 1998). The following year, his Spanish-born wife Manuéla joined the estate, which was then converted to biodynamic practices.A new page was turned in 2002 with the leasing of vines from Prince Poniatowski's Clos Baudoin estate, which he then purchased in 2006. He was joined by his cousin Nicolas Martin, with whom the Chidaines formed a GAEC (a jointly-run agricultural partnership). 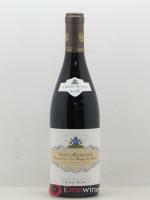 Today, the domain encompasses 37 hectares: 20 in Montlouis-sur-Loire, 10 in Vouvray and 7 in Touraine. 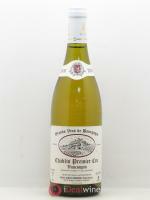 François Chidaine is also the chairman of his appellation's trade union.As well as its exemplary use of biodynamics in working its vines, the estate also aims to highlight its various different soil types by producing a number of cuvées based on the specific characteristics of each vineyard. François Chidaine is obsessively rigorous in his approach to vineyard work – a characteristic he shares with Manuéla and Nicolas Martin and their entire team (numbering nearly a dozen full-time employees), whose common goal of excellence has formed them into a very closely-knit unit.François Chidaine also heads up the growers' union for the Montlouis appellation, and (along with Jacky Blot) remains a textbook example of a producer who has inspired a whole new generation of talented young winemakers from the appellation.